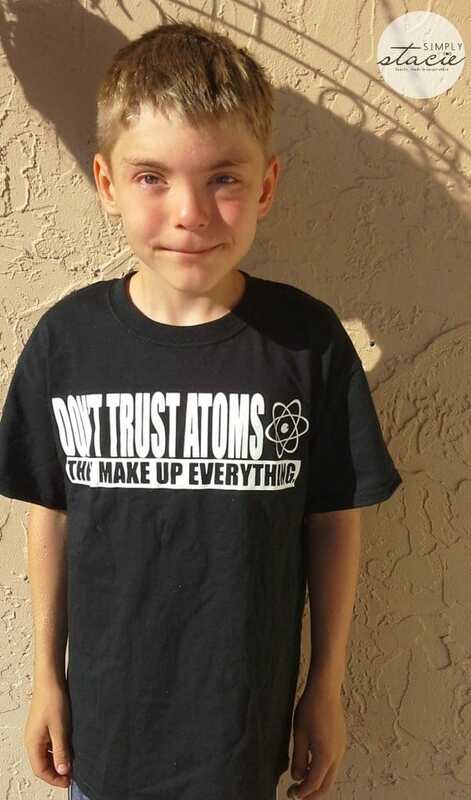 My family loves to wear t-shirts and it is fun to find an online retailer that offers unique, funny t-shirts. BigtimeTeez.com has a huge selection of funny t-shirts and cool graphic t-shirts for the entire family including men, women and children. I was very pleased to learn that this company also has a wide range of sizes including hard to find sizes up to 5xl. I have a family member who likes t-shirts but he wears a size 4x which makes it hard to find his size. Now I know the place to shop for him for special occasion gifts……BigtimeTeez.com! BigtimeTeez.com offers professionally hand-screened shirts that are made in the USA. The quality is 100% preshrunk cotton which makes it easy to care for and comfortable to wear. There are so many styles, colors and prints to choose from so you are sure to find the perfect t-shirt for everyone on your list. Featuring themes such as pop culture, ethnic, “rude” (adult humor), zombie, geekery and more, it is easy to find just the t-shirt you are looking for in this online shop. My husband and I love watching the television show Finding Bigfoot. My husband had joked in the past about how he wanted a t-shirt and hat from the show with the popular saying, “Gone Squatchin’” and now he has one of his very own. 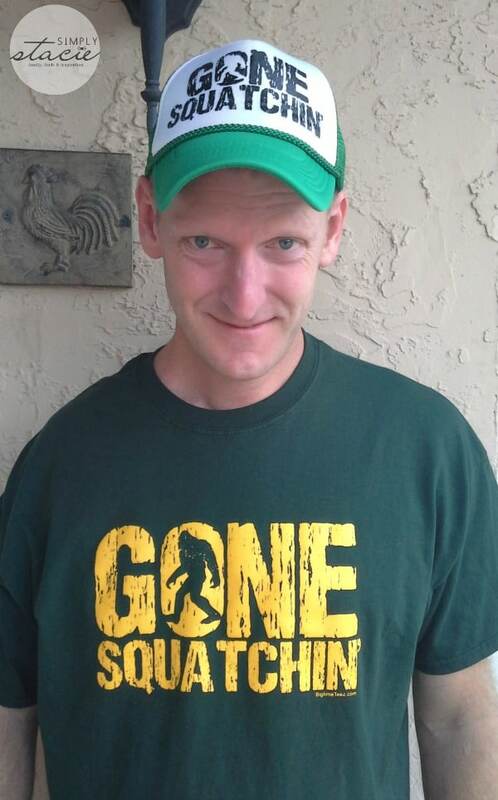 The Gone Squatchin’ T-shirt (on sale for $14.99 currently) and coordinating Gone Squatchin’ Mesh Trucker Hat (on sale for $13.99) is perfect for Bigfoot fans and he has received a lot of compliments from complete strangers when wearing this shirt around town. We chose a classic style in green and yellow for our shirt but you can select your own style and colors when ordering this fun shirt. The hat has an adjustable fit and my husband said it is very comfortable to wear. 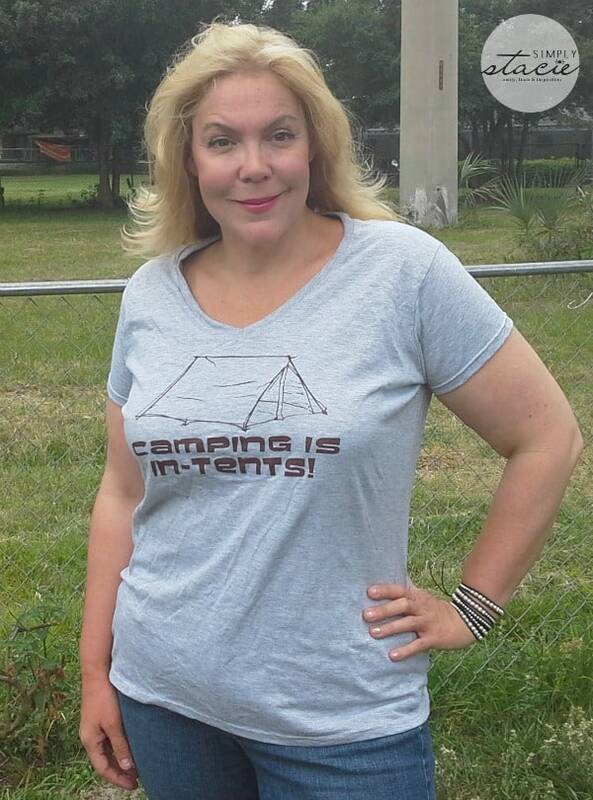 For our next camping adventure, I will be sporting my new “Camping is In-Tents” t-shirt (on sale for $14.95) which is a fun way to show off my love for camping, I appreciate that there is a ladies style available because it looks more feminine than the classic t-shirt in my opinion. It fits nicely without being too snug and my family thought it was great. If you are looking for fun, stylish and hip t-shirts then I highly recommend creating your custom shirts now at BigtimeTeez.com! I like the Halloween tees. I like the Gone Squatchin’ T-Shirt. I would like the Gone Squatchin shirt for my neighbor. He is a big fan! My favorite is the The Final Frontier t-shirt. I like this shirt: This Is What the World’s Greatest Grandpa Looks Like. I’m into the zombie shirts. love the Ladies Favorites t shirts they are all so cute! I like the Funny Shirts the best. i really like the What If You Read That Wrong T-Shirt. i love the Let’s Get Weird T-Shirt!!! so cool! I like the I Love It When My Wife Lets Me Play Video Games T-Shirt. We like the Friend With Benefits T-Shirt. I like the crystal lake boat tours t shirt. I love the Cuddle So Hard T-Shirt. I like the 99 problems shirt! I like the Ladies Favorites theme. I love the shirt Heavily Medicated for your protection! I like the ladies favorites theme. I love the “Beer” shirt! So funny! I love the Dixon Crossbows T-Shirt! My favorite is the I’m Not Arguing T-Shirt.